I made one more call, because I really did want to do this. I texted my go-getter friend and she said, without hesitation, that she would join me. Her enthusiasm squashed my self doubt and we register today. Suzanne is the robootcoach.com (with a blog that is awesome! 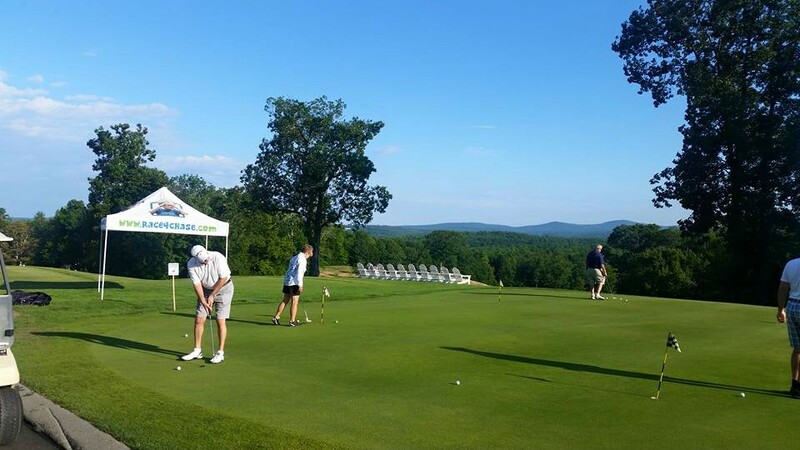 ), not to mention the head coach and catalyst for the Achieve Program at the Greater Waterbury YMCA that was turned into the Race4Chase Kids Triathlon Program. She is also my poga instructor. 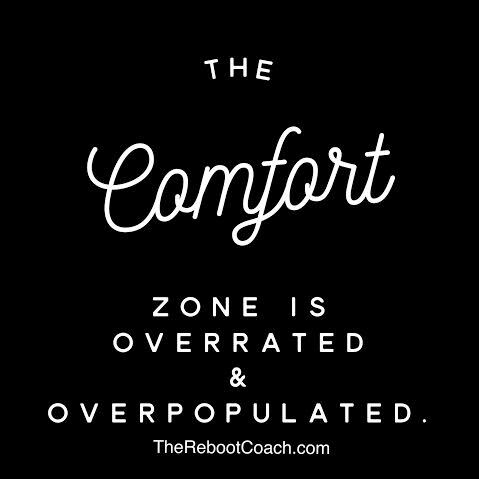 She wears many hats well and makes "crushing the comfort zone" a lifestyle. She shared with me a motivational podcast, "The Sessions with Sean Croxton," which I listen to often. I recently listened to a session with Gretchen Rubin who shared the four tendencies. The four tendencies help you understand the origin of your motivation and what makes you step out of your comfort zone. Which one are you? the questioner, the upholder, the rebel or the obliger? Take the test at gretchenrubin.com and figure out what motivates you! What type of person are you and how do you intend to get motivated and crush your comfort zone? I've figured out what I need to do and I hope you can too. Today, my friend Betsy and I squashed her comfort zone and pushed 205 lbs training sled 40 yards with a little help from Chase. Find your motivation, the rewards are endless! Join me on May 22nd! 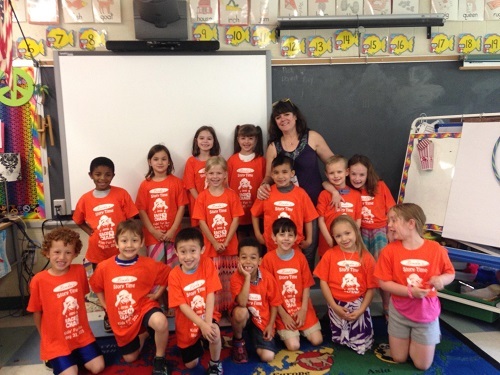 Six Programs Still Have Space Left! 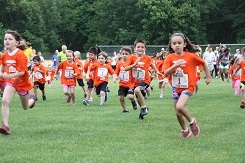 The Race4Chase Kids Triathlon Program will be attracting close to 500 young athletes to participate in the six week training program at the fourteen sites within Connecticut and one site in Fort Mill, SC. Eight sites have already filled all the available slots for prospective athletes, but there are still six programs as of this writing that have spaces left for those interested in participating. If you are interested, contact the site at the following links:. 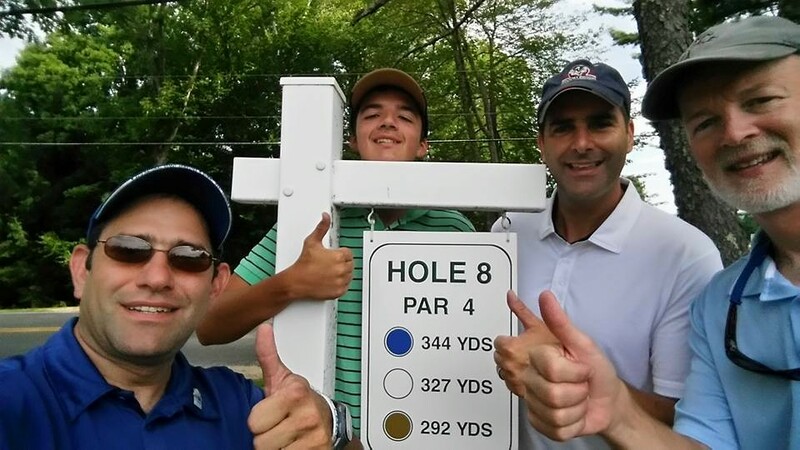 So far in this challenge, we have one participant that can be described as an over achiever. You may recognize him as the man who was the winner of the bike raffle from last summer. Not known as a cyclist, he has used this B2B Challenge to launch himself on the path of greater health and fitness. 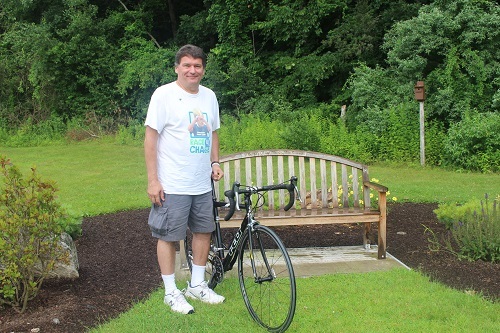 Long time CMAK enthusiast, Jim Pallock has already cycled over 1042 miles on his indoor trainer and should complete the challenge later this week. 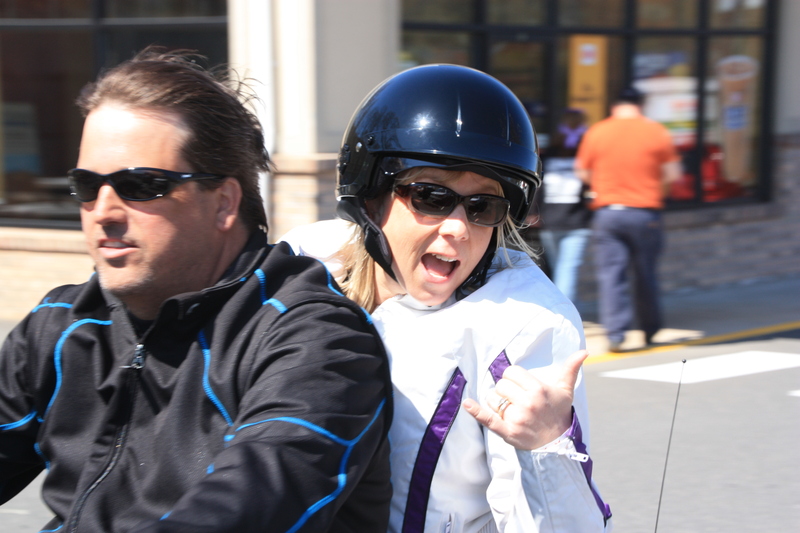 He has his sights on completing the challenge a second time on the roads now that the weather is cooperating. It will be fun to watch his progress. Even more impressive is that he has lost about 25 pounds in the process. 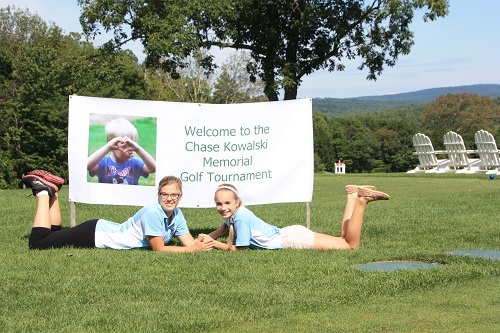 Once again, Chase's inspiration can improve health and change lives. Fleet Feet gave their Power of Running to Inspire Award to Rebecca Kowalski earlier this year and released a video in her honor which is currently airing at all of their stores and website in the coming months. This heart felt documentary telling Rebecca's story has already received 112k views. Rebecca and the Kowalski family will be travelling to California in late June to receive her award and be honored at the Fleet Feet National Convention. 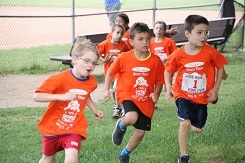 The Race4Chase Kids Community Triathlon has now opened registration at Runsignup.com/race4chase. 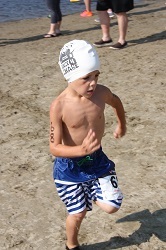 The Kids Triathlon will have a field limited to 230 contestants filled on a first come, first serve basis. Therefore, please take the opportunity to sign up early to assure your place in the field. For more information about this event and the other events organized by the CMAK Foundation, please refer to the Events Page on our website. Sunday, May 15th, 2016 !!! 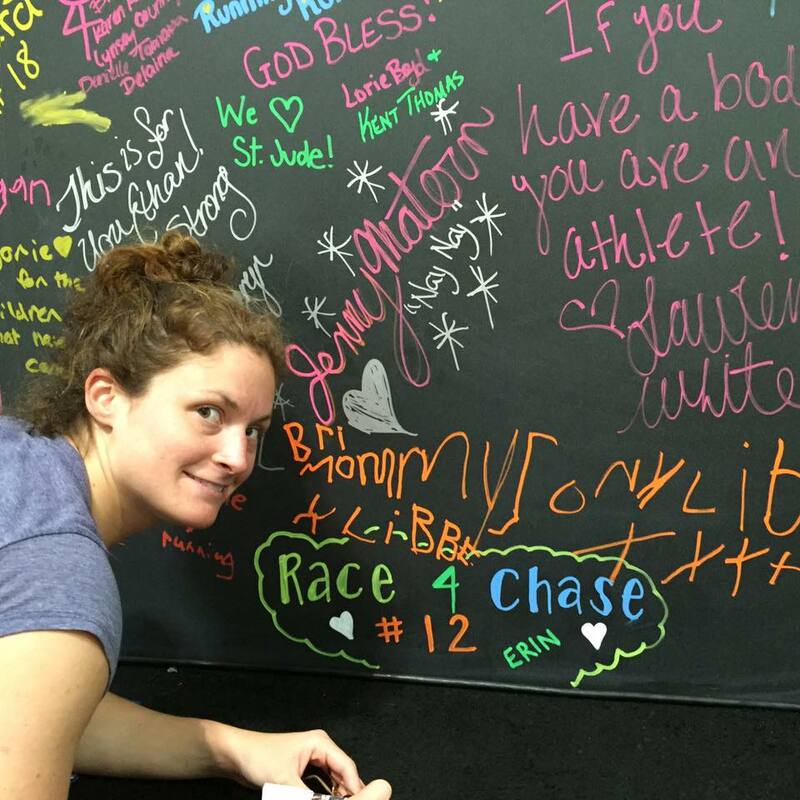 The 2016 Race4Chase Boston Marathon team made a successful showing for the second year as six runners completed the marathon in Chase's memory. Amanda Jacob and John Williams were both back from the 2015 Team, running their 4th and 3rd Boston for Chase, respectively. Kristen Havey, Stephen Pelletier, Kelly Dillon and Curtis Keller were new members to the team, all running their first Boston. 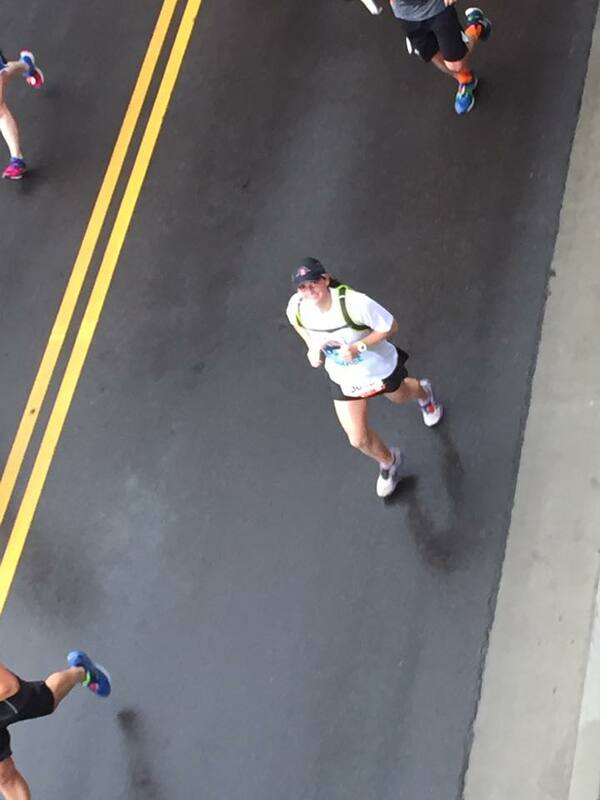 Kristen was running her first marathon ever. At the CMAK Sunday brunch hosted by Alma Nove Restaurant, the team was very excited to be finished with their training for the marathon and feeling good. Zoe Schwalje and Jon Pleva from the 2015 team were there to lend encouragement to everyone as well as some young marathon enthusiasts and friends of Paul Wahlberg who presented their banners to the Team. Alma Wahlberg made a special appearance to wish everyone luck. The weather outlook was for a big improvement from 2015 as the 2015 team suffered through some heavy rains, high winds and bone chilling conditions. As it turned out, the conditions were surprisingly challenging as temperatures reach well into the 70's and the runners suffered from the heat across the board. Although the heat cut into the athlete's target times, it certainly did not curtail their enthusiasm or the enthusiasm of their supporters which lined the course. 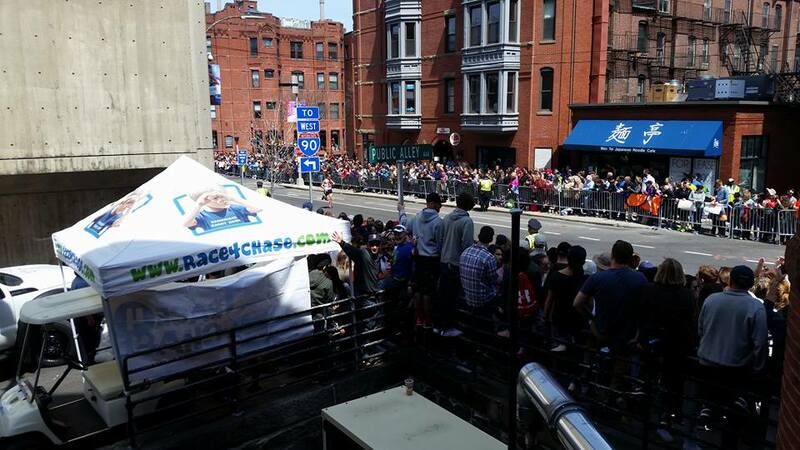 Each runner passed the CMAK cheering tent on Hereford Street with a big smile and energetic wave for their fans as they entered the homestretch to the finish on Boylston. Each athlete proudly displayed their finishing medal and recounted numerous stories on how Chase made an impact in their race as their bodies were struggling and they needed a boost. CMAK is very fortunate to have these runners represent the Foundation and Chase in this prestigious event. We celebrate them and their accomplishment! as well as welcoming them into the Race4Chase family!! We look forward to seeing them again later this year at one of our events to show them the impact that their efforts are having on the CMAK programs and the youth that we are serving. It is not too early to start thinking about joining the 2017 Race4Chase Boston Marathon Team!! CMAK hopes to have two or more charity bibs for 2017, but will know only by the end of September. For those that are fleet of foot like Amanda, Kelly and Curtis, qualifying times must be run after Sept 19th, 2015 for qualification for 2017 Boston. Applications must be submitted in early September. So if you know someone that has qualified for 2017 Boston, encourage them to join the Race4Chase team. I understand that Erin Flanagan is thinking about returning to Boston in 2017. We thank Amanda Jacob for serving as our team captain this year. Now she can turn her entire attention to her wedding at the end of the summer. We wish Amanda and Ryan all the best together! 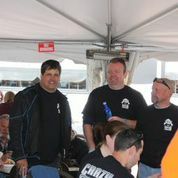 A huge Thank you to Engine 33 and all of the firefighters who set us up on Marathon Day. 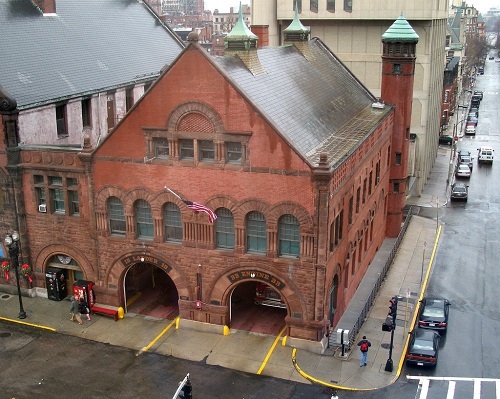 We had our sweet spot again behind the firehouse thanks to our friend and supporter, Joseph Minehan, and we would also like to thank Joe's sister, Kelley Minehan, for letting us park at her work location. The Boston Marathon is an amazing event for CMAK Foundation and with the great friends we have made in Boston it is always a great experience!! From the bottom of our hearts, we thank you Joe and Kelley. While the Race4Chase Boston Marathon Team was tucked warm in the beds awaiting an alarm clock summons to the Hopkinton start line, some Race4Chase supporters strapped on their helmets, flashlights and donned their reflector vests and took part in the Boston Marathon Midnight Bike Ride. Rebecca Kowalski (see insert below), Nicholas and Jonathan Pleva and Kevin Grimes made their way from Hopkinton to the finish line at Boylston along the runners course. They joined over 1000 other cyclists, some with very creative costumes and custom bikes, on an adventure over dimly lit roads and chilly but deserted streets. It was an enthusiastic group who congregated on Boylston at 3 am to get their photos in front of the finish line sign. "Last year Paul Wahlberg told me about the Boston Marathon Bike Ride and how you road the same marathon route that the runner do. I was totally up for the bike ride...of course....assuming it would be on Tuesday after the marathon, during the day. Well, I couldn't have been more wrong! The unsanctioned bike ride was at midnight the day of the marathon. I was apprehensive at best but interested! As time got closer and it was becoming more real, I jumped in with both pedals, but not clipped in and ready to rock and roll yet. As we had our brunch at Alma's, my nerves were starting to get the best of me, and I stated as much..."Holy Cow, I'm nervous. We had a little rest after dinner with the Jacob family and then the Pleva's and I headed out to meet up with Kevin. He had started at the finish line and pedaled to the start line to meet up with myself, Jon and his 12 year old son Nicholas to start our 26.2 mile journey. The journey was nerve racking at first, but, as I pedaled the first few miles, I grew more and more confident. So much so, I was speeding down hills and cranking up Heartbreak Hill with little to not much effort, thanks to my tri training coach Tom from Thrive. As we got into the city streets of Boston, I caught up with another cyclist who had a lighted disco ball glistening on the streets and blasting my favorite disco music through the very quiet city streets of Boston. As I took the turn onto Hereford Street, I recognized the spot where our tent would be that day and smiled because I could finally appreciate the distance our runners had done last year and what our new runners were about to take on. 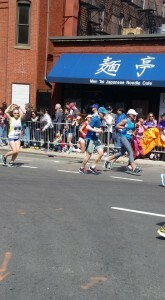 With just the last few meters to go, I have to say I was so proud of what I had just accomplished. A little disappointed because we were not able to actually cross the finish line but the experience is one I will never forget and hope to be able to experience it again and again. What I knew in my heart was that Chase was with us the whole 26.2, just like he would be with our runners in a few more hours. 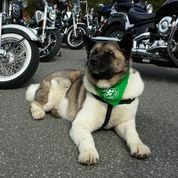 Chase kept us safe from pothole monsters and, later, it was confirmed when I found out this first ride of mine was done on the 8th anniversary of this event. See even when you're not looking for the signs but feel their presence, you can still get validation when you least expect it. Race4Chase and Rev3 Quassy: Shout Out for Volunteers!! 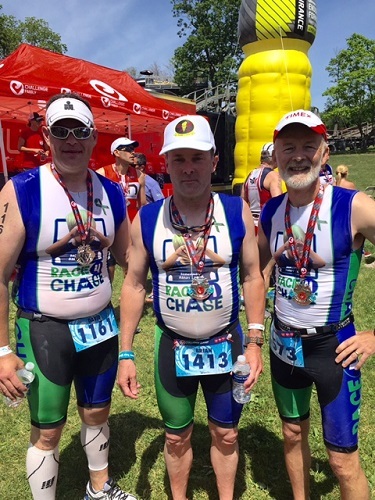 The Race4Chase team will compete at the Rev 3 Quassy Triathlon weekend while also volunteering to help stage the race by manning the swim stage of the Quassy Olympic triathlon on Saturday, June 4th, 2016 at 6am-9am at Quassy Amusement Park in Middlebury, CT. 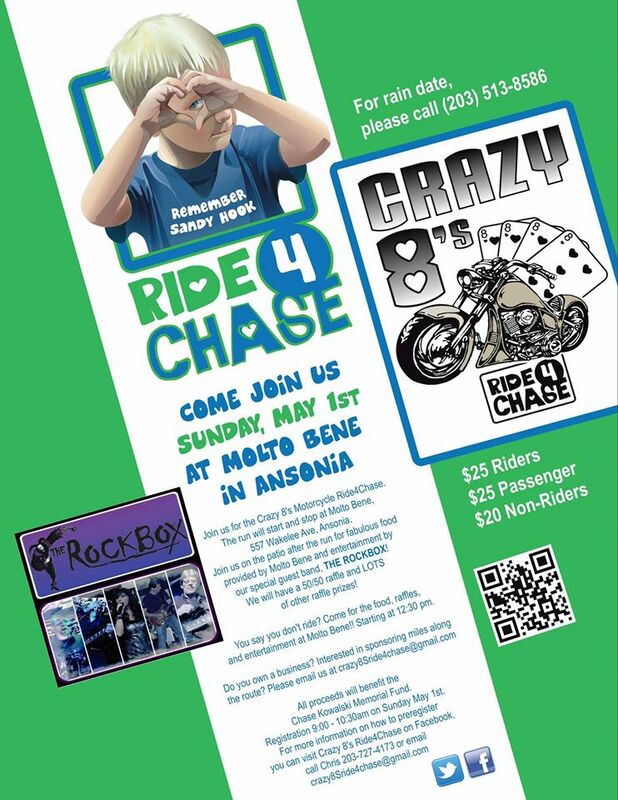 This is the third year that Race4Chase will both compete and volunteer at Quassy. For those interested in competing with Race4Chase, please sign up for the triathlon through the Rev3 website and send an email to kgrimes@chasekowalskifund.com to confirm your participation. 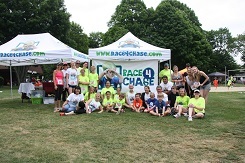 For those who would like to volunteer for the Race4Chase Swim Station, please access the online sign up page at the following link: Race4Chase Station Quassy Olympic. The Race4Chase team will return to the Sprint for Monroe for the 4th consecutive year. 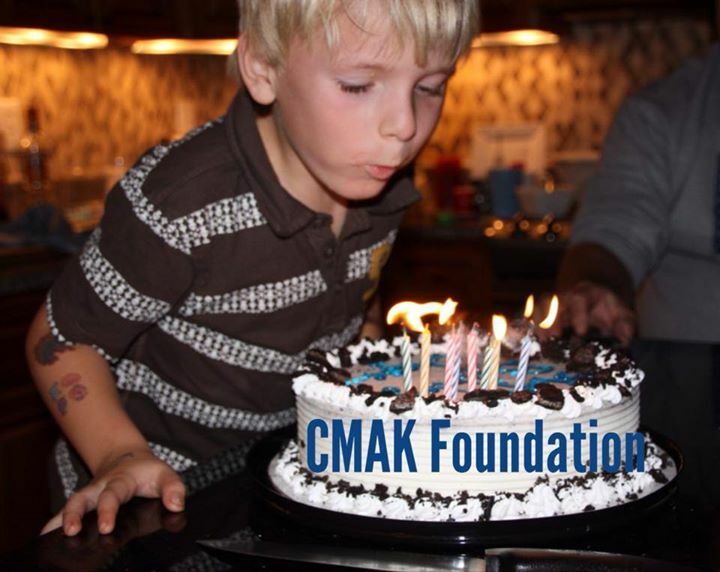 The Sprint for Monroe has been wonderfully supporting to the CMAK Foundation since its inception and has again included a Race4Chase Kids Fun Run to be run prior to the 5k race. 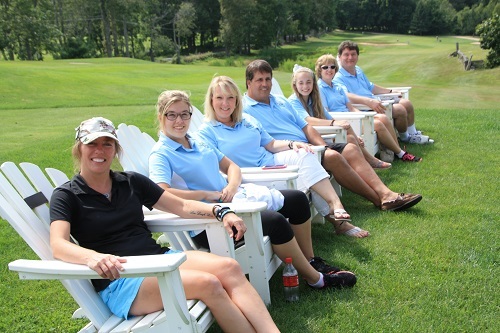 We hope that many of our supporters and their families can participate again this year. There have not been any reported significant changes to the status of our Race4Chase batons in circulation since our last report in the April newsletter. Please continue to check this space in our next newsletter for any updates. 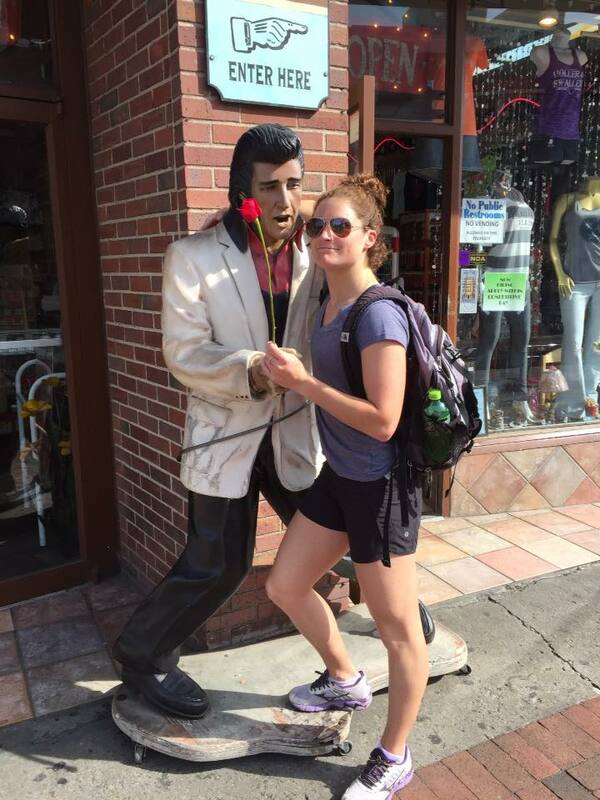 Erin Flanagan completed one of her most challenging marathons at the St. Jude's Rock 'n Roll Marathon in Nashville, TN on April 30th, 2016. Her training and the course were nothing unusual, but the temperatures, humidity and rain really took a toll on the field. Her time of 3:51 was about 30 minutes behind her PR set at Boston in 2015. 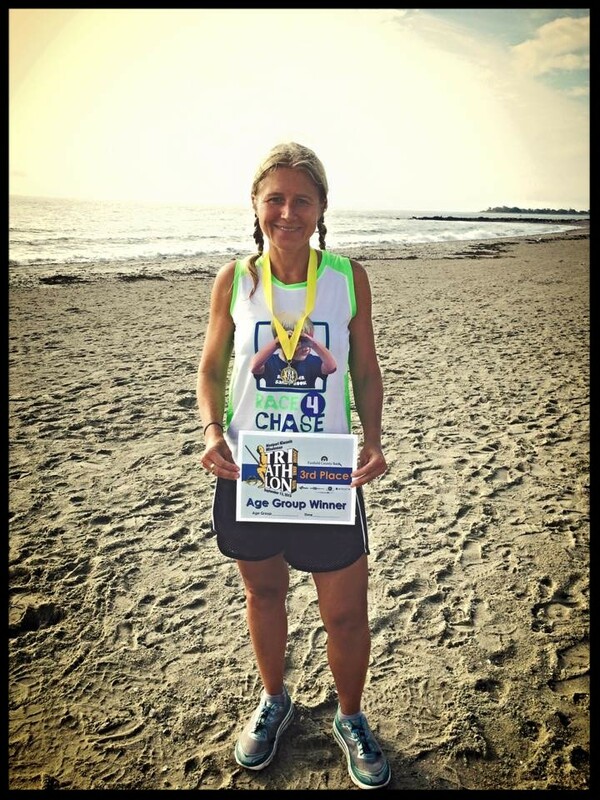 The 2016 Race4Chase Boston Team can empathize with what Erin endured after the higher than anticipated temperature at this year's Boston (see above). 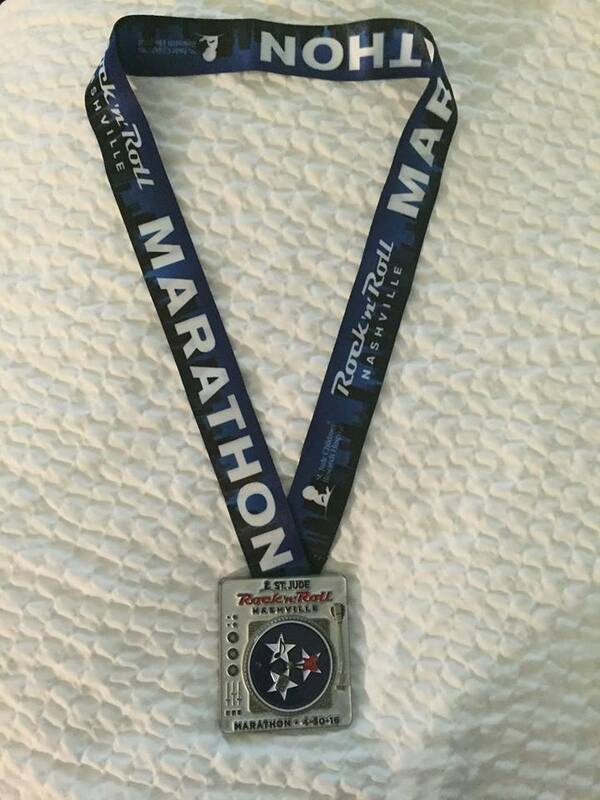 We will update the recipient of the Race4Chase baton originated at this marathon in our June newsletter. Erin competes again this weekend in Maine which will certainly test her powers of recovery.